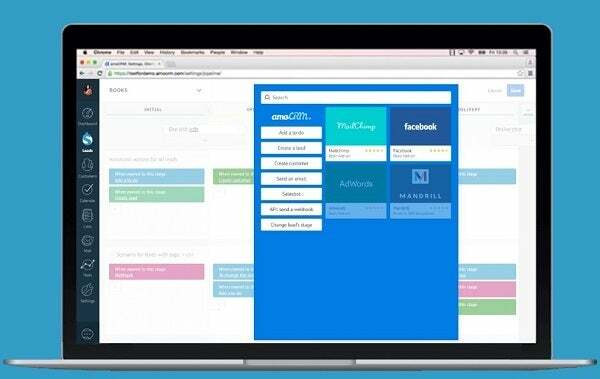 A solid, intuitive, easy-to-install CRM option. 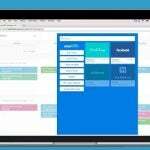 The San Francisco-based amoCRM offers a CRM software service that delivers the basics of CRM — a streamlined deal-closing pipeline — while offering an API that allows third-party widgets to fill in any unique needs a business may have. This customizability, combined with a trim price tag, makes it an attractive option. The amoCRM dashboard opens to a pipeline in a move that emphasizes the main goal of the CRM: closing deals with leads. From left to right, the columns in the pipeline might include Initial Contact, Demo, Negotiations, and Invoice Sent, though customized pipeline stages can also be added, to better represent your company’s process. At each stage, the user is pushed to complete a specific task in order to move their lead further down the pipeline. amoCRM comes in three service plans: Base, Advanced, and Enterprise. The Advanced plan offers the most features in terms of cost-efficiency, making it the most attractive plan — provided your business won’t go over its 400-Mb-per-user file storage or past the 5,000-open-leads-per-user cap. 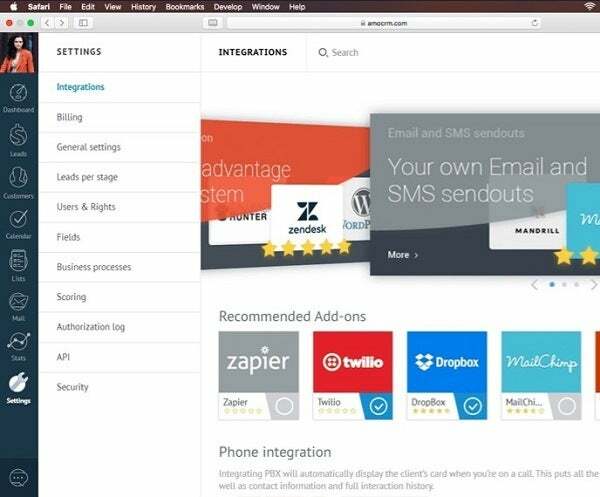 Another benefit of the Advanced plan: It offers the “build your own widget” feature, which allows developers to build additional integrations to be used on amoCRM’s API. With a smart developer and the right widget, anything beyond the service’s core lead management focus can still be covered within the service. This review takes a closer look at the core features offered by all three plans, before covering the CRM’s support and pricing options. There are a lot of CRM services out there, and understanding how amoCRM compares can help inform you on your options. Check out this table with helpful facts about a variety of competitors below. Contact cards — Drag-and-droppable cards that represent each lead can be moved from one dashboard column to the next, helping users easily track their progress through the stages. Includes personal information as well as any previous interactions. Google Analytics integration — Google Analytics data can be tracked. Email integration — All email communication can be synced up and easily accessed. Activity reports — Process can be tracked via user-specific reports. Access settings — Access to specific data or features can be restricted to individuals or to a group of users. Business card scanning ability — When on the mobile app, amoCRM users will be able to scan business cards, registering the information immediately as a new lead card. Permanent data backup — All your information will be backed up, something that isn’t always a guarantee with CRM software. Zoho CRM, for example, limits backups to twice a month. In addition to widened limitations on the number of contacts and leads, those in the Advanced service plan will gain additional features. The biggest benefit to this tier? The ability to build personalized widgets — although the more granular analysis and security features are a close second and third. Auto-created tasks — Automatic processes can be used in the pipeline: If a lead meets set requirements, it can be auto-assigned to a team member who’s a fit for that lead, decreasing friction in the pipeline. Branches and teams — Process tracking reports can be broken into branches and teams, not just individuals. Sales forecasting — Using current data, amoCRM can project the revenue or leads likely to be won for up to 60 days in the future. IP access restriction — The software can be made accessible only to specific IP addresses, as well as logging all users’ visits. Third-party integrations — Finally, amoCRM’s API allows developers to build their own widgets, helping them handle additional tasks that aren’t covered by the main program. 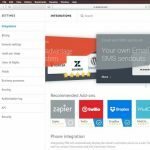 Pre-built options are also available: Facebook, Zendesk, Twilio, Zapier, and MailChimp are all popular integrations. Given the detailed analysis and reporting features included in this service plan, Advanced is a good fit for a larger or growing business that requires more data in order to better streamline its processes. The scale of the caps on data storage, contacts, and leads is the main appeal of the Enterprise plan, which introduces relatively few new features when compared to the Advanced plan. Email archive backup — A data archive is periodically emailed, adding extra data security. Activity monitoring — Users with the right permissions can monitor the movements of other users. Thanks to the extra data storage and fail-safe archiving feature, the Enterprise plan is the best option for businesses that find themselves to have outgrown the Advanced plan. 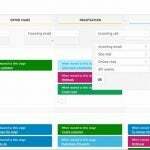 This video explains the basics behind the amoCRM software: How the CRM sales pipeline works, and how leads can be moved down it in order to better keep track of sales. Also covered in this 8-minute video are data reports, available widgets, and the access settings options of the CRM. amoCRM offers plenty of online resources to walk users through any issues or concerns that might arise, including an online “knowledge base” that shares videos, articles, and user guides. There’s also another developer-focused help portal dedicated to amoCRM’s API, which offers information about how to build unique widgets or integrations that will run on the CRM platform. The same customer support is available to users of any plan. Phone, email, and live chat support are all available during the same set time periods: Monday through Friday, from 12 a.m. to 5 p.m. PST. amoCRM offers just three plans — Base, Advanced, and Enterprise — each of which offers more features than the last. The Base plan is $15/user/month, the Advanced plan is $25/user/month, and the Enterprise plan is $45/user/month. Each plan is billed annually, and users must begin with a subscription of at least six months. A 14-day free trial is available at any service tier. amoCRM is one of the easiest CRM software solutions to adopt. Its intuitive interface is easy to understand, and it can be installed with little hassle. Customer support options are strong, spanning phone, email, and live chat, as well as a free demo to help guide users through the installation process. Businesses that are new to CRM and wish to adapt to it with little downtime should consider amoCRM.